For the past5 days we have been on Ko Phi Phi. The second day we were here we took a snorkeling sunset tour. We also visited Ma Ya Bay which is where most of the movie, “The Beach” was filmed. The snorkeling was the best that I have ever experienced. So good that I was pumped to want to go scuba diving soon. Merry Beth should be happy with that idea. 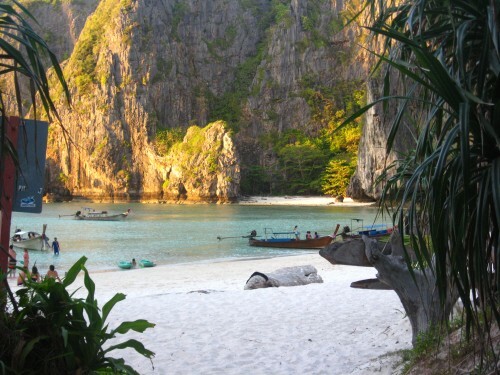 There are two different sunset snorkeling trips you can take from Phi Phi. We took the one that started 3:00 pm till 8 or so. Ours provided a buffet dinner on the boat during the sunset. Beautiful experience. You could also kayak if you preferred as well as jump off the top of the boat into the ocean. Which I choose to do a few times. Yesterday, Valentines Day, I treated myself to a yoga class. It was held on top of a building with an amazing view during the sunset. The instructor does a class a day in two different locations. I went to the one at Carlitos. 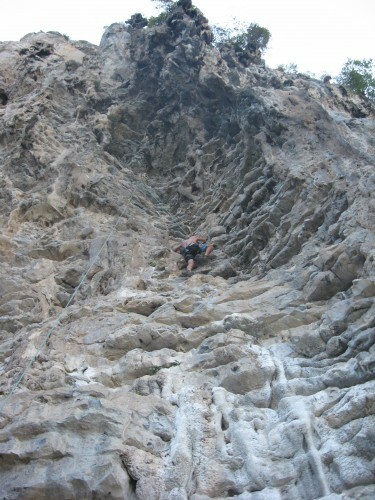 Today, Sebastien and I did a fun rock climbing adventure. We meet at the shop and then walked with a few other people to the climbing spot. I managed to complete 4 climbs. It was challenging but the views were spectacular. There is only one company that does climbing on the island. Spider Monkey is the name. Our guide Judy was supportive and a great coach! We also met another couple and hung out with them a few nights which was a nice change. There is a bar on the beach called Stones which we found ourselves at several nights. Ha ha. We also saw some WWF Thai boxing. This was quite entertaining. 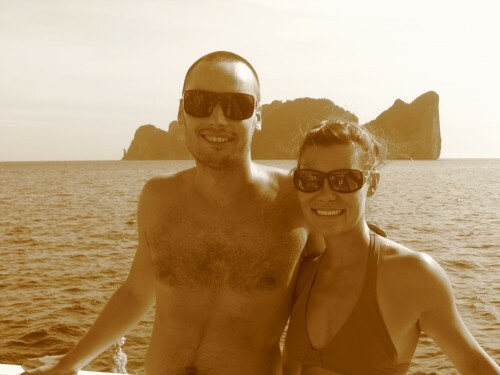 Tomorrow we head to another island about an hour boat ride from Phi Phi called Koh Lanta. 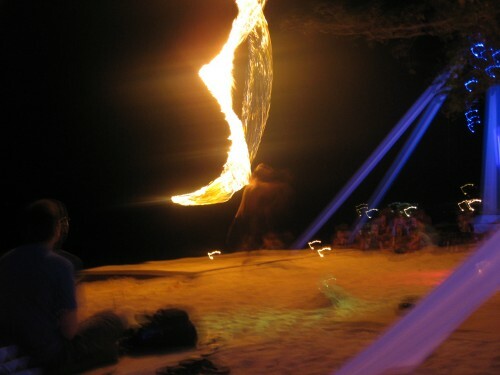 Nice photos, I will visit phi phi island soon, look forward to your next post on Koh Lanta. Ko Samui or Ko Tao in three days. Can you make it?